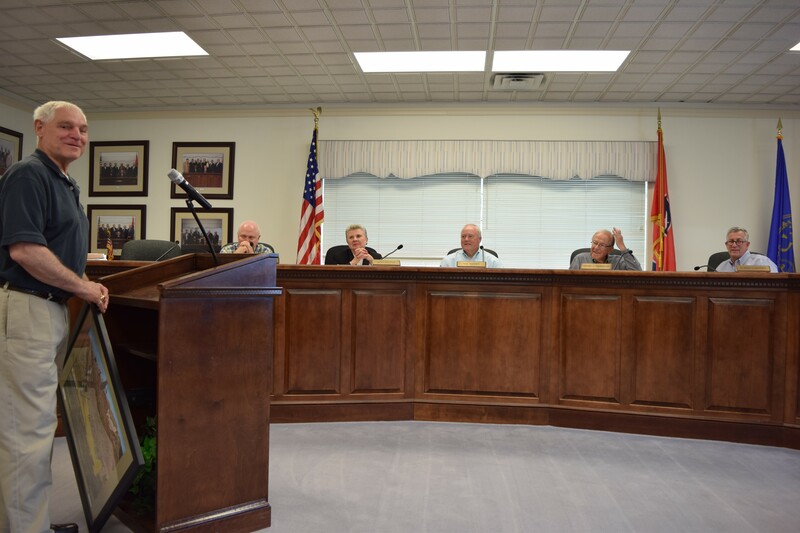 Bill Dethero was recognized last Friday by the Cleveland Regional Jetport and the Cleveland Municipal Airport Authority for his service as a pilot with Angel Flight. The organization provides free medical air transportation to patients in financial need. Dethero attended the Airport Authority meeting with his wife Gwen. 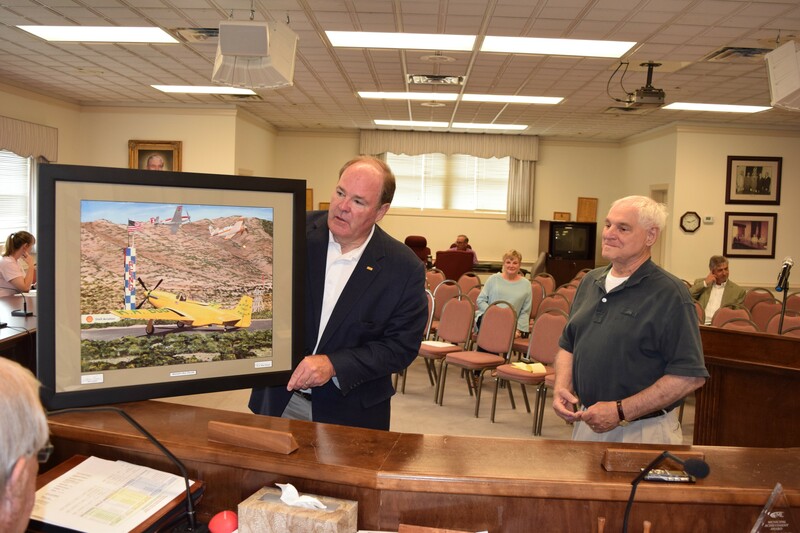 Jetport Director Mark Fidler presented Dethero with a limited-time print edition by aviation artist, Sam Lyons, provided by Eastern Aviation Fuels. Cleveland Regional Jetport Director Mark Fidler, left, presents aviation print to Bill Dethero.